In a recent article we wrote about the causes of hyperpigmentation and gave an overview of the melanogensis process. In this followup article we’ll be discussing products and ingredients for hyperpigmentation treatment. If you haven’t already read the original article on pigmentation, you go back and read it here. 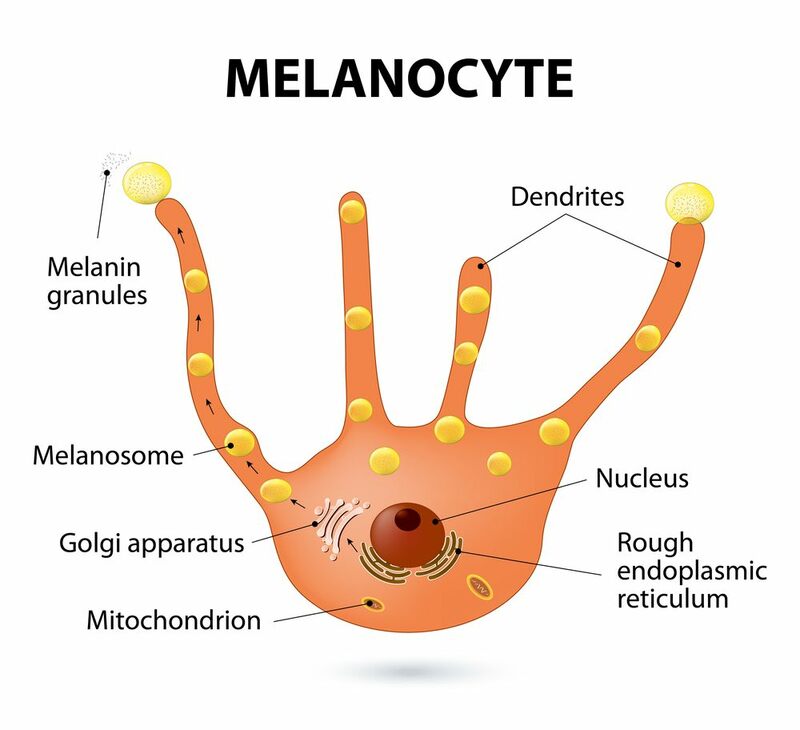 Once you have a detailed understanding of melanogensis and how pigment is formed, it’s easy to put into context which products and ingredients can be used to treat hyperpigmentation. For a comprehensive approach to treating pigmentation we need to address two things. Firstly, ingredients to regulate or normalise pigment production. As hyperpigmentation is a result of abnormal melanocyte activity. These may include tyrosinase inhibiting ingredients and antioxidants for example. Secondly, ingredients to improve the appearance of existing hyperpigmentation. These may include exfoliating ingredients, as well as skin brightening ingredients. Active ingredients to treat hyperpigmentation can be divided into different categories to include tyrosinase inhibitors and exfoliating agents. Tyrosinase Inhibitors work by interrupting the enzyme ‘Tyrosinase’ which assists in oxidising the amino acid ‘Tyrosine’ which is needed to form melanin in the melanosome. Learn more about melanogensis. Many Tyrosinase Inhibitors are also antioxidants but not all antioxidants are Tyrosinase Inhibitors. See below for an overview of some of the Tyrosinase Inhibitors available. Exfoliating ingredients can also be included to assist in the removal of excess pigment granules. Effectively speeding up the renewal process through gentle but regular exfoliation. This two-pronged approach by regulating pigment production alongside peeling the skin to remove excess pigment is an effective way of treating hyperpigmentation. Simply relying on exfoliation alone will not address the root cause of the problem. It’s like trying to empty the sink while the tap is still running! Of course, no pigmentation programme would be complete without daily sun protection. Considering UV exposure is the catalyst for pigment production, if you’re attempting to treat hyperpigmentation without daily sunscreen, your efforts are pointless. If you’re not prepared to be diligent with UV protection you may as well not bother! The following list of ingredients are categorised as Tyrosinase Inhibitors. They work by interrupting or blocking the enzyme ‘Tyrosinase’ which assists in oxidising the amino acid ‘Tyrosine’ which is needed to form melanin in the melanosome. Learn more about melanogensis. 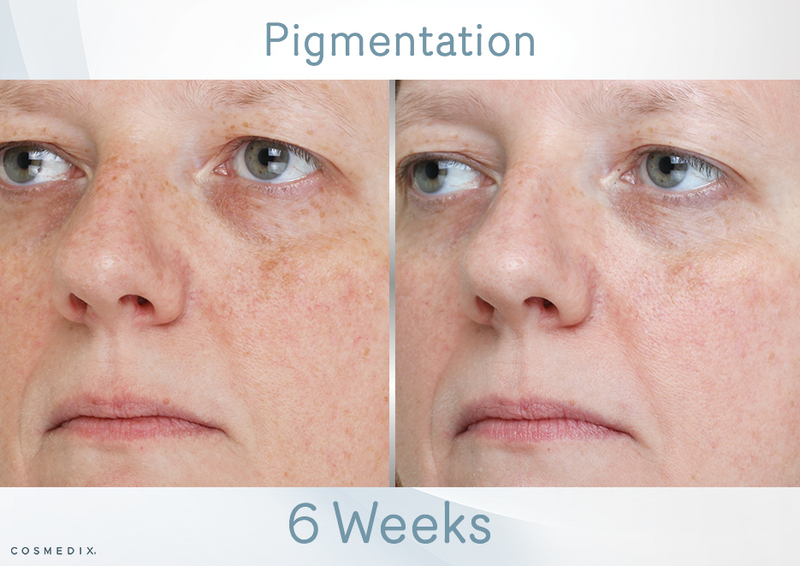 This regulation of pigment production is fundamental in the treatment of hyper-pigmentation. Note that a lot of Tyrosinase Inhibitors are also antioxidants, however not all antioxidants are Tyrosinase Inhibitors. Some Tyrosinase Inhibitors can also be very toxic to skin cells, which will be discussed later in the post. Hydroquinone – Very powerful Tyrosinase Inhibitors. Skin bleaching effect. Banned in some countries. Potential carcinogenic effect. Kojic Acid – a natural crystal like substance that is used is some skin whitening products. Also Banned in some countries. May cause dermatitis with long-term use. 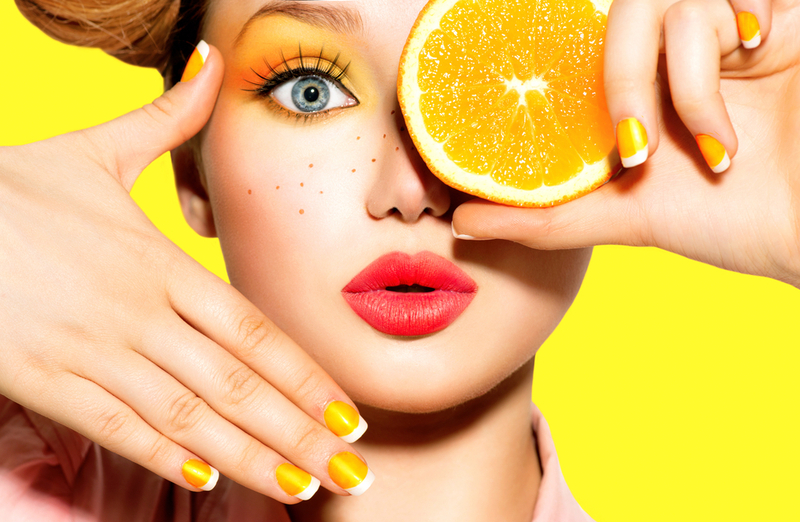 L-Ascorbic Acid – Vitamin C, a powerful antioxidant that also exhibits tyrosinase inhibiting properties. Licorice Root – A very popular plant-based Tyrosinase Inhibitor. More effective than Kojic Acid, but also anti-inflammatory and antioxidant. Azelaic Acid – A dicarboxylic acid, naturally derived from wheat. Works as an anti-acne and skin bleaching agent. Glycolic Acid – AHA derived from sugar cane. Can be sensitising / irritating for some skins. Lactic Acid – AHA derived from milk. Also a tyrosinase inhibitor. When used in its Chirally Correct helps to boost ceramide production. Mandelic Acid – AHA derived from Almonds. Lipid soluble. Antibacterial and Anti-Inflammatory. Citric Acid – AHA derived from Citrus Fruit. Helps to brighten areas of pigmentation. Salicylic Acid – BHA derived from Willow Bark. Lipid soluble. Antibacterial and Anti-Inflammatory. Enzymes – Bromelian derived from Pineapple and Papain derived from Papaya. More gentle than acids and target the protein bonds (desmosomes) holding cells together. Niacinadmide – Works by interrupting the transfer of melanosomes to the keratinocyte skin cells. Vitamin A – Retinol / Retinaldehyde helps to normalise and regulate cell function, including both keratinocyte and melanocyte. Brightening Peptides – such as Nonapeptide-1, Rh-Oligopeptide-1 act like chemical messengers to regulate melanin production. Green Tea Extract – an antioxidant that also exhibits tyrosinase inhibiting properties. Glucosamine – an antioxidant that also exhibits tyrosinase inhibiting properties. Of course no list of ingredients for hyperpigmentation treatment would be complete without mentioning sunscreens. After all, prevention is always better than cure. If you’re trying to address hyperpigmentation then sunscreen is mandatory. Even the smallest amount of UV exposure can undo weeks / months of hard work. At Medico Beauty we have always championed mineral sunscreens over chemical UV filters. Purely from an irritation perspective and what’s best to use post-treatment. For the interest of being comprehensive we have listed a number of both chemical and mineral sunscreens below. Learn more about chemical VS mineral sunscreen. Now we have reviewed the active ingredients for Hyperpigmentation we can now take a brief look at some of the products we like here at Medico Beauty Institute. We have always believed in using safe, plant-based ingredients which do no harm or sensitise the skin. We believe the benefits of skincare ingredients should always out-weight their risks. For this reason we do no support the use of Hydroquinone or Kojic Acid. As we know there are effective ingredients for hyperpigmentation without compromising skin health or risking dermatitis or rebound pigmentation, which can be the case with long term use of Hydroquinone and Kojic Acid. CosMedix Simply Brilliant is an effective antioxidant and tyrosinase inhibitor serum which contains a complex blend of 10 different brightening agents. Including many of those already mentioned above such as DermaWhite, L-Lactic Acid, Ascorbic Acid, Licorice Root Extract, Green Tea Extract, Nonapeptide-1, Rh-Oligopeptide-1, Niacinadmide, Salicylic Acid and Citric Acid. We also have CosMedix Elite X-Cell+ which is a supercharged version of Simply Brilliant. Containing all the same ingredients plus added Vitamin A in the form of both Retinol and Retinaldehyde. Checkout CosMedix UK as Simply Brilliant is currently on special offer and includes a free Benefit Balance Hydrating Antioxidant Toner. Which also contains some skin brightening ingredients for hyperpigmentation, including Green Tea Extract and L-Lactic Acid.